Despite ever-widening media attention and public awareness of the problem, American women continue to suffer from anorexia nervosa in greater numbers than ever before. This severe psychophysiological condition-characterized by an abnormal fear of becoming obese, a persistent unwillingness to eat, and severe compulsion to lose weight-is particularly difficult to treat, often because the victims are unwilling to seek help. 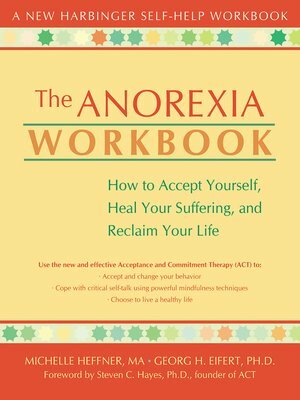 The Anorexia Workbook demonstrates that efforts to control and stop anorexia may do more harm than good. Instead of focusing efforts on judging impulses associated with the disorder as 'bad' or 'negative,' this approach encourages sufferers to mindfully observe these feelings without reacting to them in a self-destructive way. Guided by this more compassionate, more receptive frame of mind, the book coaches you to employ various acceptance-based coping strategies.